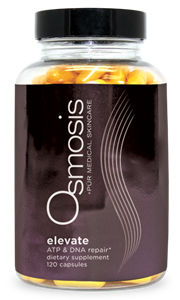 Level 2 Vitamin A Serum The Osmosis vitamin A serums are the most powerful age-reversing serums available. Calm is our level 2 vitamin A serum, designed for moderately-sensitive skin types who desire a dramatic restoration of the skin rejuvenation process. It encourages the skin to calm inflammation, restore the protective barrier, increase skin nutrients and immune repair, rebuild the thin dermis, normalize oil, hydrate, firm and protect skin from UV rays. Level 3 DNA Repair Serum The DNA repair serums are the second most powerful age-reversing serums available. Catalyst AC-11 is our level 3 serum, appropriate for all skin types. It contains a patented formula that activates your natural zinc finger remodeling process, which is a critical part of DNA repair. 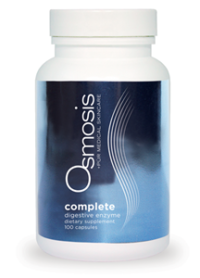 In addition, this product contains the patented technology AC-11 that is proven to increase DNA repair by 33%. The unique combination of vitamin C, amino acids and minerals also encourages the skin to increase collagen and elastin production, promotes wound healing and improves sun protection. The benefits of these serums c an be seen with skin tags, broken capillaries, fine lines and wrinkles, scarring, and pigmentation. Level 1 DNA Repair Serum The DNA repair serums are the second most powerful age-reversing serums available. Catalyst Plus + is our level 1 serum that is more appropriate for sensitive skin. It contains a patented formula that activates your natural zinc finger remodeling process, which is a critical part of DNA repair. The unique combination of vitamin C, amino acids and minerals also encourages the skin to increase collagen and elastin production, promotes wound healing and improves sun protection. The benefits of these serums can be seen with skin tags, broken capillaries, fine lines and wrinkles, scarring, and pigmentation. Vitamin A Blemish Serum This Osmosis blemish serum clears blemishes, normalizes oil production, shrinks pores, increases skin's immune support, hydrates, calms inflammation, protects skin from UV rays, restores the epidermal barrier, and restores dermal thickness. Gentle Cleanser Stimulate the senses with a hint of peppermint while this luxurious gentle cleanser effectively removes dirt, makeup and environmental toxins without drying out the skin or stripping the skin of its natural protective lipid barrier. Cleanse is free of sodium lauryl sulfate; instead, Osmosis uses soothing, natural kiwi and kumquat derivatives to purify the skin. The end result is refreshed, hydrated and radiant skin. Activating Mist Clear is Harmonized Water, which contains scalar waves that promote healthy skin. It aids in product penetration and stabilizes bacteria levels while empowering rejuvenation. Activating Hydration Mist We've taken the beneficial frequencies of Clear and added active ingredients to firm, hydrate, soothe and nourish the skin all with a light citrus scent. Level 3 Vitamin A Serum The Osmosis vitamin A serums are the most powerful age-reversing serums available. Correct is our level 3 vitamin A serum, designed for normal skin types who desire a dramatic restoration of the skin rejuvenation process. This formula sets up the ideal environment for aging skin to remodel itself through increased skin nutrients, collagen production and elasticity. Detox Cleanser This cleanser is comprised of a unique combination of coconut surfactants and citrus essential oils such as lemongrass, lemon and grapefruit to remove deep impurities and yet remains gentle enough for all skin types. A caffeine free, revolutionary supplement that assists in reversing the signs of aging, boosts energy, increases fat loss and cellular repair. Pigment-Fading Serum (hydroquinone-free) This Osmosis pigment-fading serum lightens skin and diminishes the appearance of age spots. We only recommend this product to be used to spot treat during the initial phases of our hyperpigmentation protocol. The formula contains no hydroquinone or other toxic ingredients; however, overall facial use exposes skin to damaging UV rays (as all skin lighteners do) so we strongly recommend spot treating.